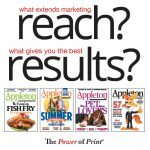 Any advertising submitted to Appleton Monthly that does not conform exactly to the above mechanical requirements will be enlarged, reduced or floated at the discretion of the production department. The Appleton Monthly cannot be held responsible for quality of reproduction if ad size has to be changed. The individual ad formats featured above are designed for both vertical and horizontal page placements. AD DESIGN SERVICE Advertisers may submit ideas, logos and information to our design services. The Appleton Monthly designers will create most ads at no cost to our advertisers. Spec ads and ad proofs will be provided upon request. Final proofs will be signed by respective advertisers prior to publishing date. ADVERTISING deadline is the 15th of the month prior to the issue’s publication. CAMERA-READY ADS are due the 17th of the month prior to the publication. ADS REQUIRING PRODUCTION are due the 12th of the month prior to publication. 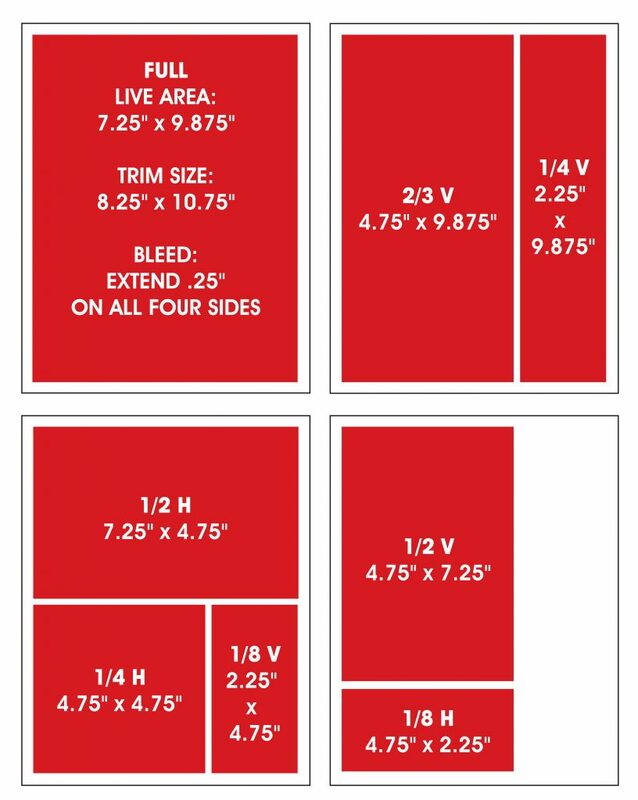 FILE FORMATS: Print quality PDFs preferred. RESOLUTION: 300 DPI PREFERRED. COLOR MODE: CMYK (no spot colors).